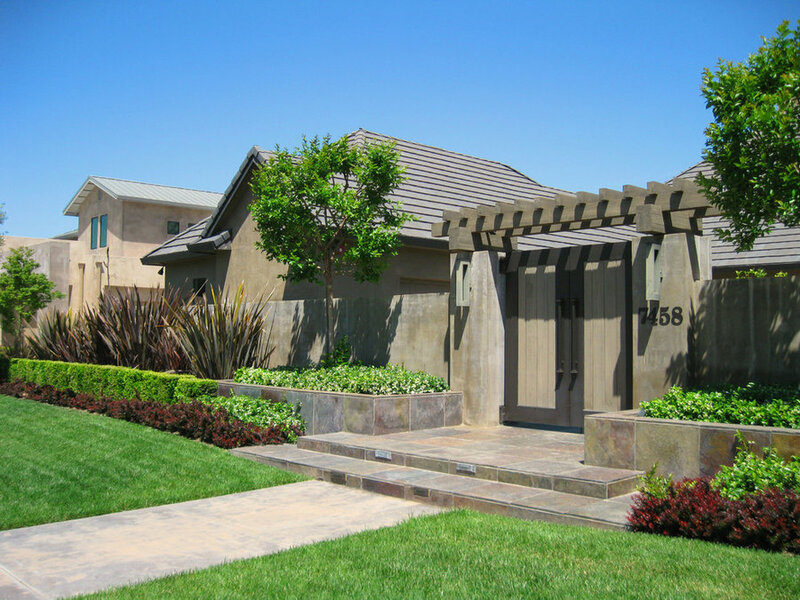 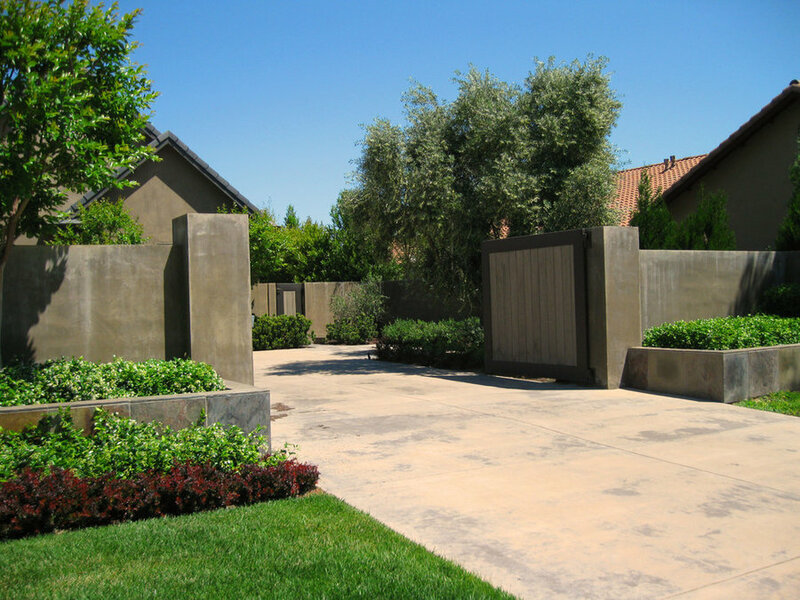 Front plastered walls, entry gates, an arbor structure and raised planters were developed to provide privacy for the exterior front courtyard beyond. 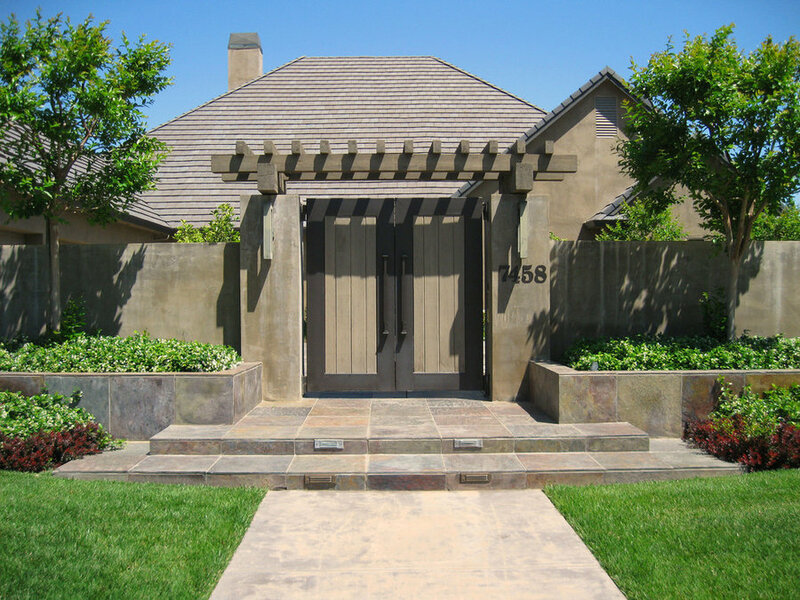 Smooth plaster, metal framed gates with wood panels, and slate paving add a clean simple feel to the front elevation of this residence. 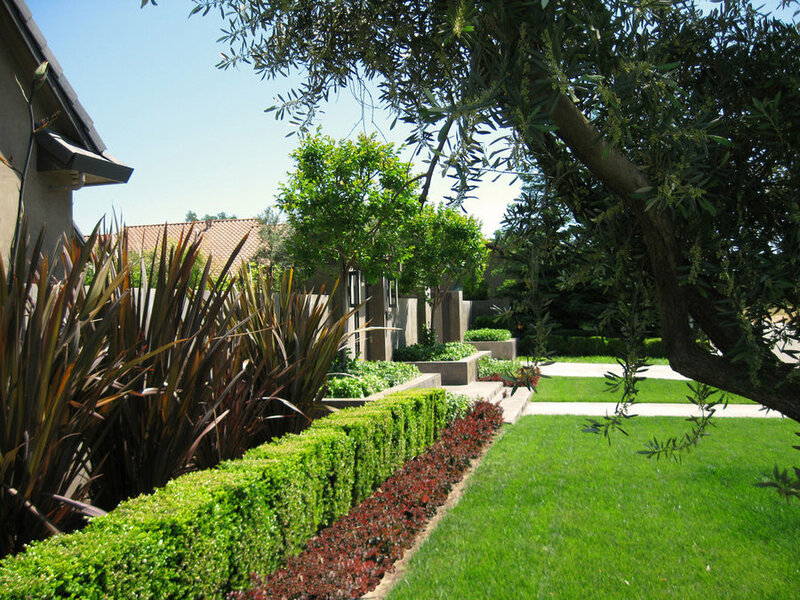 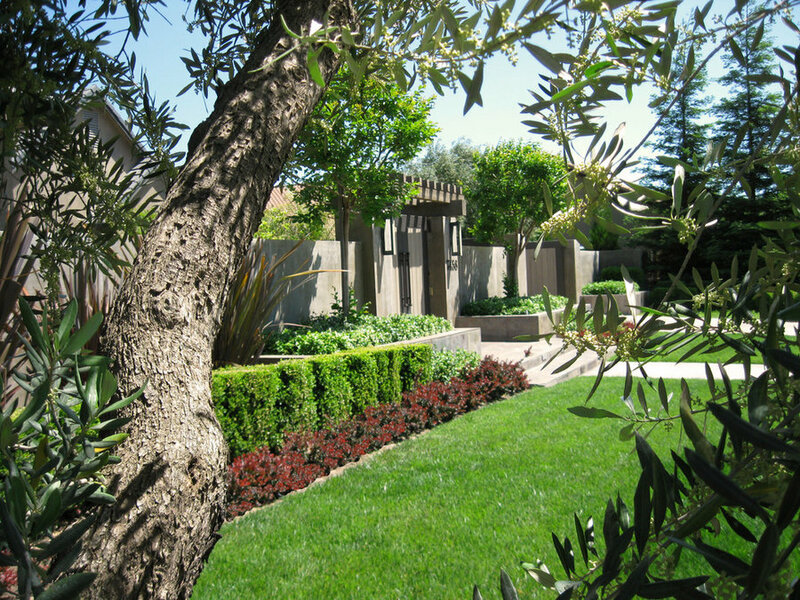 A clean layered effect of alternating plant colors and textures continues the contemporary feel into the landscape.